Golden Syrian hamsters are susceptible to a virus called SV40 which is related to human-associated viruses in a family called polyomaviruses. SV40 is a virus that causes cancer in hamsters making them a valuable model for studying how these types of viruses may cause cancer in humans in hopes to find ways to treat them. Examples of polypmaviruses that cause cancer in people include the Epstein-Barr virus known to cause leukemia and lymphomas, the human papillomavirus (HPV) which causes cervical cancer and Hepatitis B and C viruses which have been associated with liver cancer. These viruses also cause kidney and neurologic diseases. 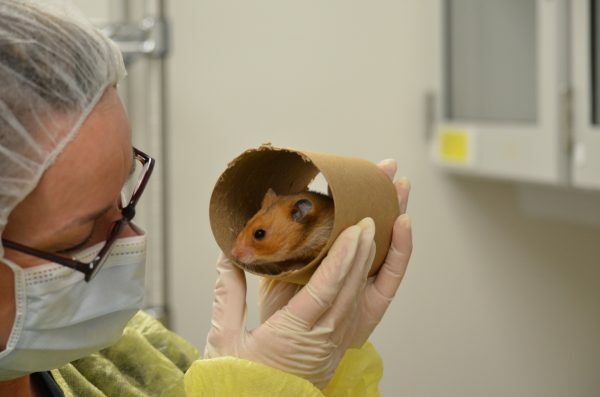 Hamsters are needed to understand how the viruses leads to disease so that therapeutics to treat or prevent polyomavirus infections can be developed.